CINCINNATI — School is back, but it’s your kids’ backs that should be on your mind. Studies show some children carry backpacks weighing some 30 pounds, so we’ve got tips to keep their backs light and zip those worries away. Dr. Marc Orlando is a physiatrist at Mayfield Brain and Spine and suggests that some schools may offer double books so kids can have one for home and one for school. He also said backpacks should weigh no more than 15 percent of your child’s weight. 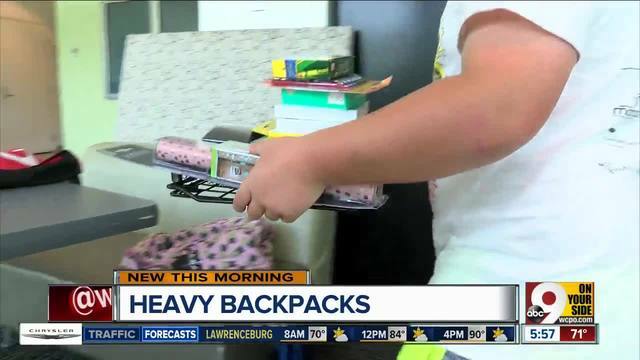 “Let’s say a 100-pound sixth-grader, really should have a backpack that doesn’t weigh much more than 10 pounds — maybe 15 as a maximum,” Orlando said. 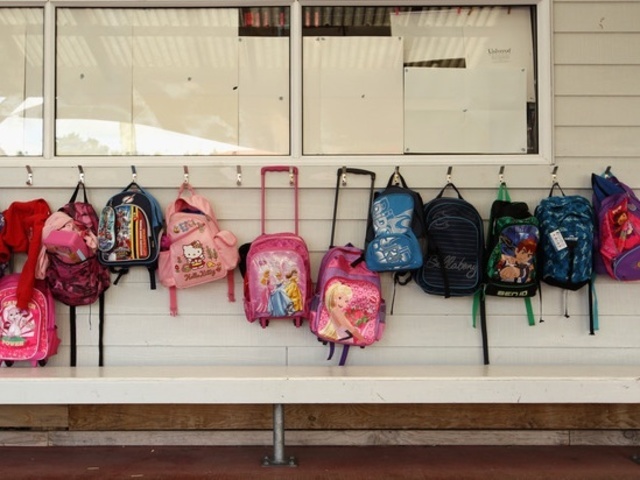 In a New York City study, second- and fourth-graders had backpacks as heavy as 5 pounds. By sixth grade, the weight went up to 18.4 pounds on average. It’s more common than you would think, Orlando said, citing some 15,000 reported backpack problems yearly in the United States. Most injuries are sprains and strains to the neck and mid- or lower back. As a father himself, Orlando said not only to think of the weight of the backpack, but also the size. “Kids who haven’t hit their growth spurt yet, they probably need a bag that’s shorter, more condensed and keeps their weight typically in the mid-thoracic area. If possible, Orlando suggested using a rolling bag or using the clasp at the top of most backpacks. If kids do wear the bag on their back, he said to use both straps. “You’re distributing forces more evenly so that your spine can handle the extra load,” Orlando said.